Released in 2011, Super 8 is an American sci-fi thriller movie about love, forgiveness, and extraterrestrials. The movie was directed by J.J. Abrams, who is also responsible for writing the story. Super 8 stars Elle Fanning, the younger sister of Dakota Fanning, and Joel Courtney. The movie was received positively, grossing a Box Office hit of nearly $260 million over a production budget of $50 million. Running time is clocked at 112 minutes. 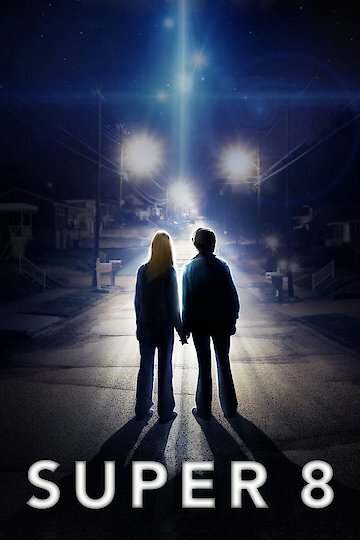 The storyline is set during the late 1970s in a small town called Lilian, Ohio. The town's deputy, Jack Lamb, mourns as he gets widowed after the death of his wife at work. Grieving together with Jack is their son, Joe, who now copes with the realization that he no longer has a mother. The deputy condemns his wife's colleague, Louis Dainard, for the accident and death of her wife since she was only covering his shift when Louis is unable to come by to work due to drinking problems. On the day of her wake, Louis visits the Lamb's residence to give his condolences, but is immediately stopped and dragged by Jack back to his car. The movie then skips a few months later where Joe and his friends including Charles Kazynk is seen entering the school. They are chatting about a movie that his friend Charles, being a cameraman, wants to make. He is later surprised to hear that the leading lady for the supposed film is Alice Dainard, the daughter of Louis. One night, Alice sneaks her dad's car to pick up the young pre-teenagers including Charles, Martin, Preston, Cary, and Joe, who Alice is at first reluctant to bring with them, believing that he'll snitch up on them to his father. As the movie progresses, Joe and Alice become infatuated with one another although aware that their individual fathers would be infuriated with the fact that they are seeing each other. Eventually, the two families are forced to intervene together when an extraterrestrial creature abducts Alice. Super 8 is currently available to watch and stream, download, buy on demand at FX+, Vudu, Google Play, iTunes, YouTube VOD online.